Kapil Sharma, who was spotted last week at the Mumbai airport, left many surprised as he looked unrecognizable. Reason? The comedian turned actor has put on oodles of weight. This further fueled up many speculations about Sharma’s health. 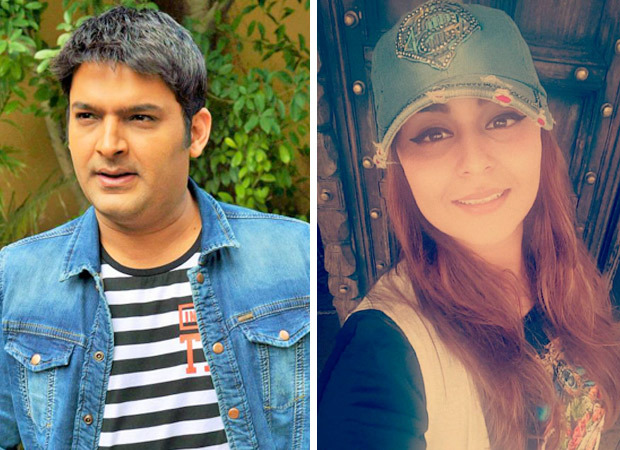 And now we hear that all is well in Kapil’s life and the comedian has decided to whisk off to Greece for a short break with his fiancé Ginni Chatrath. Recent reports suggest that Kapil Sharma is trying to recoup from all the stress and anxiety issues that he has been facing for a while now. Not too long ago, the comedian had even taken to social media, Twitter, where he not only interacted with his fans but also assured that he will be back on his feet soon. We wonder if taking a break was just a part of his treatments. It is a known fact that the comedian-actor is trying to stay away from the media glare for a while. He hasn’t been taking any further assignments until her finishes all his treatment. Last year, the actor faced massive issues after his show on Sony saw a downfall. The show, which was featured A-list celebrities as guests, bore the brunt of Kapil’s anxiety issues and the comedian was even accused of unprofessionalism. After his fight with colleague Sunil Grover caused trouble, it was followed by many Bollywood actors complaining that the comedian never turned up on time despite being the host of the show. Considering all this Kapil decided to undergo a treatment but not before revealing to his fans that he is dealing with stress issues and alcoholism on social media. The same issues repeated after he once again disappeared from an ongoing show this year. Family Time With Kapil Sharma ended up abruptly after a few episodes. Even though the show didn’t take off well, the makers were hopeful that Kapil’s comedy skills will act as a crowd puller soon. But before all of it, the actor failed to shoot episodes and disappeared.